The outstanding training of our technicians ensures efficient gate repair services. 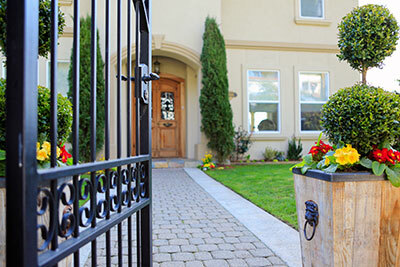 We stand out in California for our fast response and we offer 24 hour emergency gate repair. Our teams are great professionals, excel in new gate installation and offer top maintenance. We can be at your residence or business just moments after you call, and we available 24/7 to take your calls. Whether you have a residential property or a commercial property, we can provide a driveway gate and an intercom and phone entry system for your security and safety concerns. Our customers tell us that they love our 24/7 emergency gate service, as they love knowing we will answer the phone any time they call. Give us a call and we will be there for you also. It's our pride to say that our emergency teams are really fast and come 24/7 to solve your problems. Thanks to our good infrastructure, all services are performed with responsibility and accuracy. When you own an automatic gate, you need to know how to deal with common problems. Let the following infographic help you with this.